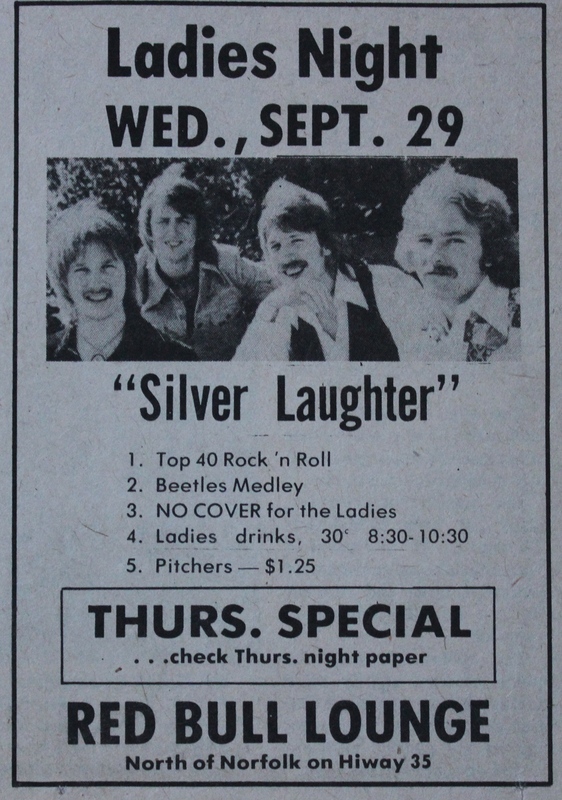 Here is another Carl Contribution, an advertisement for a job we were playing at The Red Bull in Norfolk, NE, probably in 1976 just after Paul had joined the band. As I have said before this was one of our favorite places to play, and we were received well. We had a great following. However, the person who wrote the ad did not know how to spell Beatles! The photo is from the 1976 Worthington session.